Prime Minister Narendra Modi has said that the Real Estate (Regulation and Development) Act, RERA and benami property legislation have helped bridge the trust deficit between builders and consumers. Addressing the CREDAI YouthCon-19 conference in New Delhi, Mr Modi said the Central government has been trying to bring a positive change in the real estate sector during the last four and a half years. Prime Minister said, his government’s Budget announcements will give a fillip to the real estate sector which now has to work to improve its credibility with the masses. Prime Minister said, RERA has been notified in 28 states and around 35 thousand real estate projects and 27 thousand real estate agents have been registered under it. Mr Modi said the government is moving at a faster pace to provide housing for all by 2022. 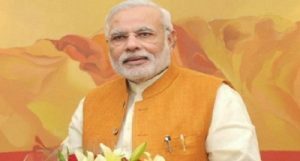 Prime Minister said, around one crore 50 lakh houses for poor people have been constructed under the Pradhan Mantri Awas Yojana in rural and urban areas. Talking about tax incentives for the housing sector announced in the Union Budget, the move to exempt people earning up to 5 lakh rupees from payment of income tax will benefit the housing sector as the surplus will find its way into real estate. Mr Modi said, the GST on the sector has been reduced to 8 per cent for affordable housing and 12 per cent for other under-construction homes. Prime Minister said the GST rate on various construction material has also been brought down to 18 per cent from 28 per cent. Sri Lanka blasts: Nine suicide..
Delhi police arrest Rohit Tiwari’s..
17 coordinators appointed to help..
Assam: Re-polling begins at 5..
Vice President M Venkaiah Naidu..
SC issues contempt notice to..